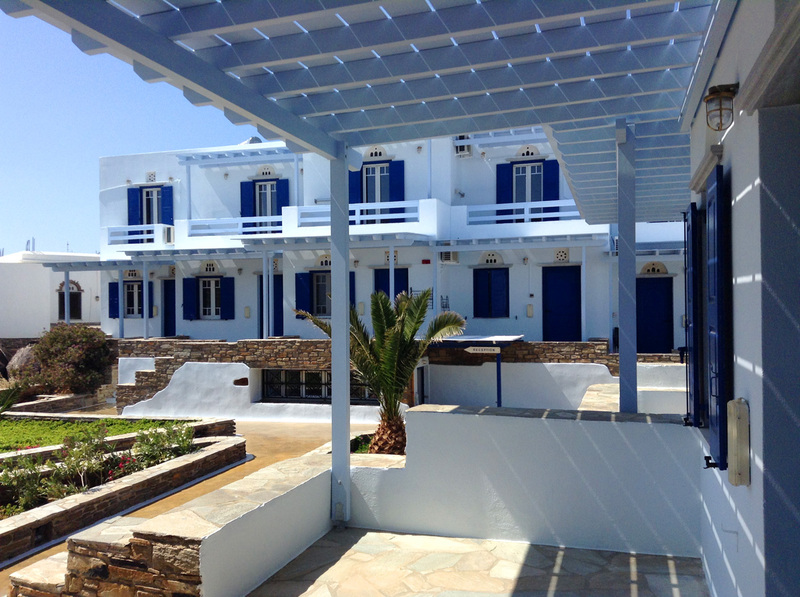 The “Nostos Resort” started its operation in 2001 . 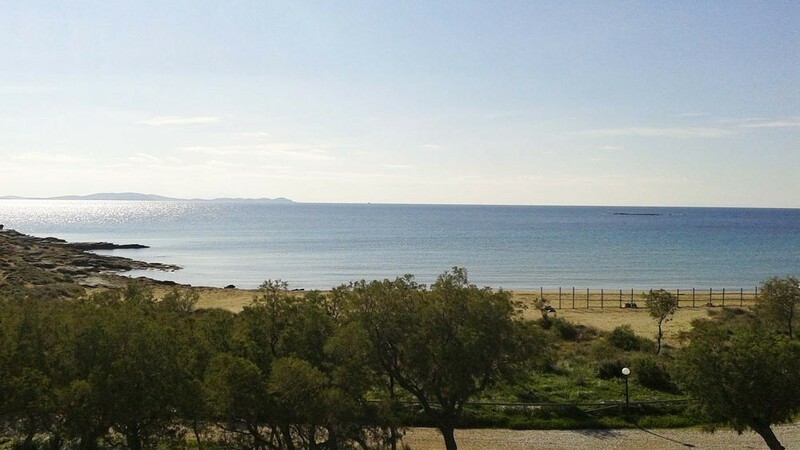 Built in an area of 3 acres in Agia Kyriaki in Agios Ioannis Porto, 30 meters from the beach. 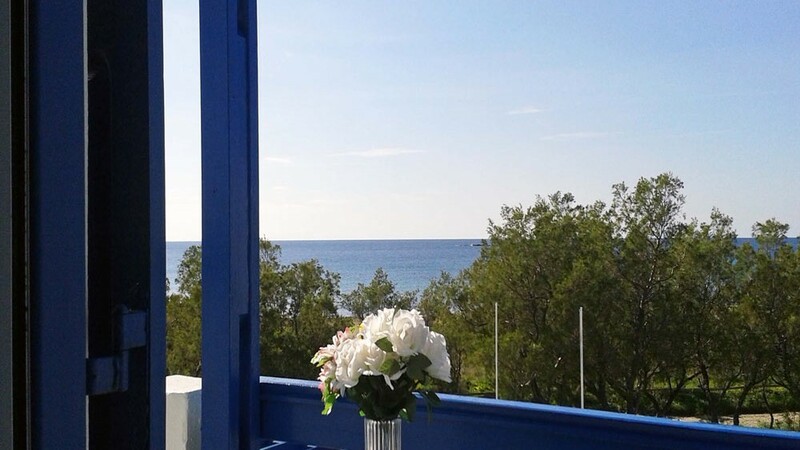 Our desire is to offer the visitor an environment that combines the serenity of the Cycladic landscape, crystal clear waters of the Aegean and the uniqueness of Tinian hosting. From the first year of our operation, we tried our guests to feel they are in familiar surroundings and we believe that the course shows us that this intention, became a reality. The location and infrastructure allow our guests to combine without moving, breakfast and coffee on the terrace overlooking the Aegean sea and endless hours on the lovely beach, with daily habits such as enjoying a movie on their personal computer. 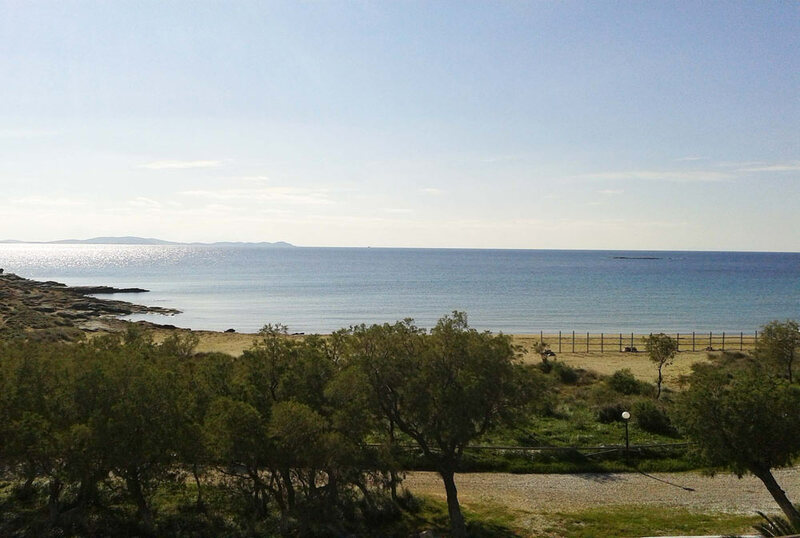 All apartments and studios, all fully equipped and have their own yard, overlooking the sea. At the snack-bar which operates within the complex, you can enjoy, with sea view, breakfasts, light meals, coffee, drinks etc. 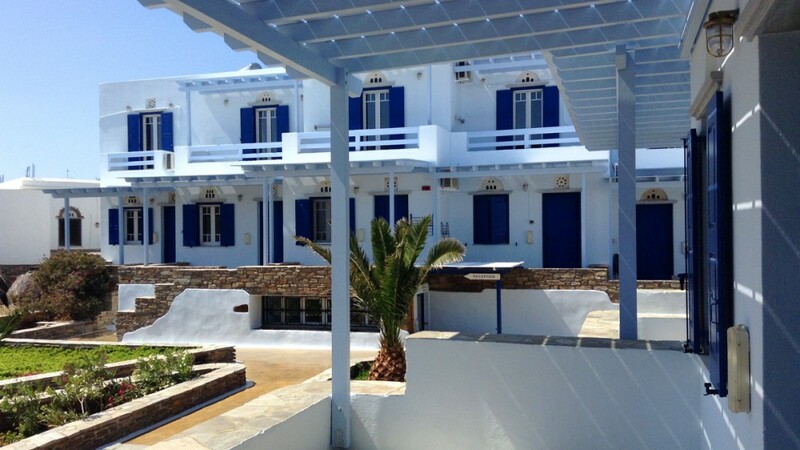 The family nature and small size of the business, ensuring that guests will experience not impersonal service, but smiling people who will make them feel that the “Nostos Resort” is their own home.